I love small towns – and I love undiscovered gems of small towns. And this small CA town pretty proves that you don’t have to fly to Hawaii to experience long stretches of white sandy beaches, killer waves, and charming locals. And you don’t have to travel to Las Vegas to play poker or Texas to drink at an authentic western saloon with big swinging doors and cowboys. And, you don’t have to visit the old towns of Europe or New England to discover a plethora of antiques, the intimacy of small-town charm and great restaurants. 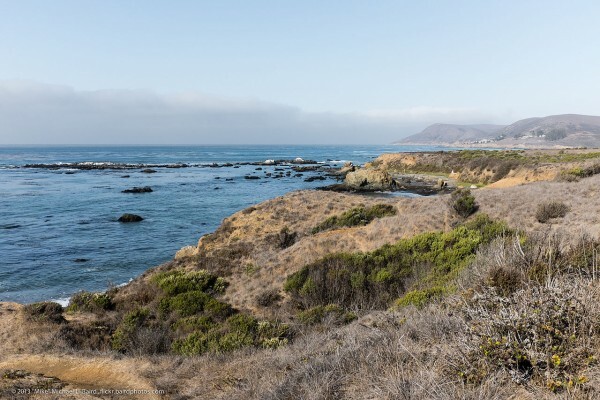 You just need to visit the classic beach town of Cayucos along the CA Highway 1 Discovery Route located midway between San Francisco and Los Angeles. Cayucos is an iconic seaside town located on coastal Highway 1, where the old west meets the Pacific Ocean. The Cayucos Tavern was built in 1906 and is a historic saloon that still offers poker, billiards, live music, authentic cowboys and great drinks to wet your whistle. Cayucos offers a quaint old-fashioned main street called Ocean Avenue filled with restaurants featuring local seafood, wine and craft brews, antique shops filled with memories of the past, and mom and pop shops that have been around for decades. The beach and pier are just a block from Ocean Avenue where surfers and kayakers abound, tide pools are abundant, and fishing off the 950-foot historic pier offers epic views of sea life including whales, dolphins, and otters. Check out this beautiful Cayucos video to get a first-hand view of this quintessential California seaside town.